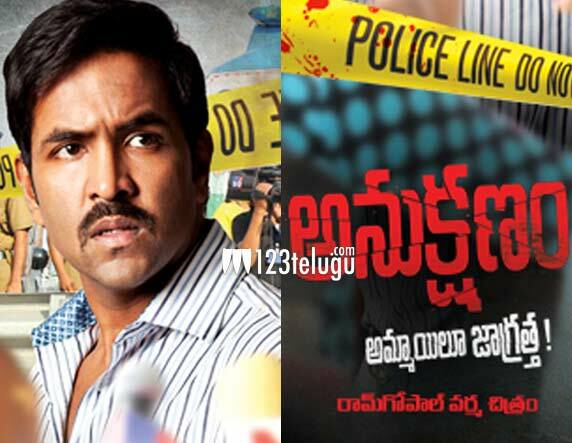 Vishnu Manchu and RGV’s Anukshanam will now be dubbed and released in Malayalam as well. Touted as a crime thriller, this movie is said to be a very intense film. Vishnu has gone through a complete makeover, and his performance has been lauded by Mohan Babu himself. This film will release in both the languages on September 12th, and is titled Killer in Malayalam. Vishnu enjoys a decent market in Malayalam as some of his previous films have fared well there. Anukshanam is about how a cop goes in the hunt of a psycho killer. Revathi, Tejaswi and Navdeep form the rest of the cast.